Adaptation of pigeonpea [Cajanus cajan (L.) Millspaugh], a short-day species, is restricted due to its sensitivity to photo-period. Earliness in this crop is reported to be linearly associated with photo-insensitivity; and this provides an opportunity to breed widely adapted cultivars through the selection for earliness. This research note reports breeding of the earliest maturing pigeonpea germplasm at ICRISAT. This germplasm, nicknamed as ‘super early’ and bred through the selection of transgressive segregants matured in < 90 days. It can be used as a source material in breeding early maturing cultivars and also can be introduced for cultivation in new production niches. 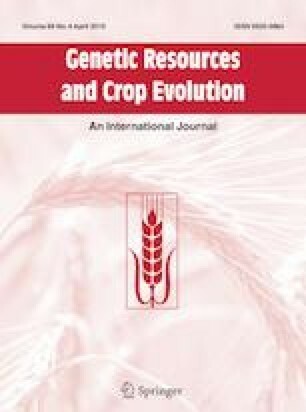 The authors sincerely acknowledge the help received from pigeonpea department staff members of ICRISAT in phenotyping work. This work has been published as part of the Consultative Group on International Agricultural Research (CGIAR) Research Program on Grain Legumes, ICRISAT, India. ICRISAT is a member of the CGIAR System Organization. The authors declare that they have no conflict of interest directly or indirectly and informed consent to publish this study and that the manuscript complies with the ethical standards of the journal.